Edit-R CRISPR-Cas9 | Tamar Laboratory Supplies LTD. The Dharmacon Edit-R™ CRISPR-Cas9 platform greatly simplifies the workflow of permanently knocking out genes by eliminating the time-consuming cloning of individual guide RNA expression vectors. Our novel approach includes transfection-ready DNA and RNA components and enables fast assessment of multiple target sites per gene, for multiple genes. Figure 1. Illustration of Cas9 nuclease (1), programmed by the tracrRNA (2) : crRNA (3) complex cutting both strands of genomic DNA 5′ of the PAM (4). All three components can be co-transfected into the mammalian cell of choice using the Dharmacon DharmaFECT™ Duo Transfection Reagent to perform gene knockout. Once delivered to the cell, the crRNA and tracrRNA complex with Cas9 nuclease to generate site-specific double-stranded DNA breaks (dsDSBs). 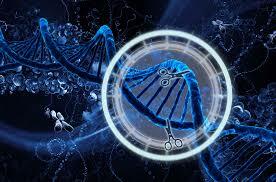 When DNA breaks are repaired through non-homologous end-joining (NHEJ), the resulting small insertions and deletions (indels) can cause nonsense mutations and truncation of protein products or the introduction of a stop codon to produce gene knockouts. Figure 3. Vector elements of the Edit-R Cas9 Nuclease Expression plasmid. The Edit-R tracrRNA is a chemically synthesized and HPLC-purified long RNA molecule based on the publishedS. pyogenes tracrRNA sequence (Jinek, 2012). The Edit-R tracrRNA has been tested for efficient editing in multiple mammalian cell types. The active Edit-R crRNA is a chemically synthesized RNA, comprised of 20 nucleotides identical to the genomic DNA target site, or protospacer, followed by the required S. pyogenes repeat sequence that interacts with the tracrRNA. The chosen 20-base target sequence in the gene must be immediately upstream of a protospacer-adjacent motif (PAM) in the genomic DNA. The predominant S. pyogenes PAM nucleotide sequence is NGG.